LOS ANGELES, CA, February 21, 2018 - Gold’s Gym has completed a corporate-wide rollout of 3D body scanning technology in a nationwide program called GOLD’S 3D™ (powered by Styku™). The initiative represents the single largest of its kind in the fitness industry and is another great milestone for the pioneering brand. Gold’s developed GOLD’S 3D™, powered by Styku™ as a service to personal training, GOLD’S STUDIO® and BOOTCAMP members, who receive a scan per month as part of their membership package. Gold’s Gym is also making the revolutionary 3D body scanning technology available to all members, along with consultations with a fitness coach to assess their scans and help determine the fitness journey that will help them best achieve their goals. “What appealed to us about Styku™ is the accuracy of the measurements and how it has a small (square footage) footprint,” Aaron Cave, VP of Fitness at Gold’s Gym, said. “The equipment itself does not take up a lot of space, which is important for us in our assessment room. The self-service kiosk mode allows our members to scan themselves privately, which helps our members feel comfortable with the innovative technology,” Cave said. The team from Gold’s Gym has noticed the changes Styku™ brings not only in member participation, but in business results as well. “We’ve definitely seen an uptick in our show rate and our close rate, and we have witnessed more people showing up to get training because of GOLD’S 3D™.” Cave said. “GOLD’S 3D ™ is a multi-beneficial tool for the brand not only because is it a sales tool, it’s a retention tool, and more importantly a member engagement tool,” Cave said. Gold’s selection process started in late 2016 and included evaluating Styku™ and competitors’ solutions against the tape measure. Internal tests for accuracy and repeatability were rigorous and included an in-house corporate challenge followed by a six-club pilot to demonstrate the ROI. The success of the pilot then translated to a rollout that was completed in late 2017. Styku™ is working very closely in partnership with Gold’s Gym to offer this technology to their hundreds of franchisee locations around the world. 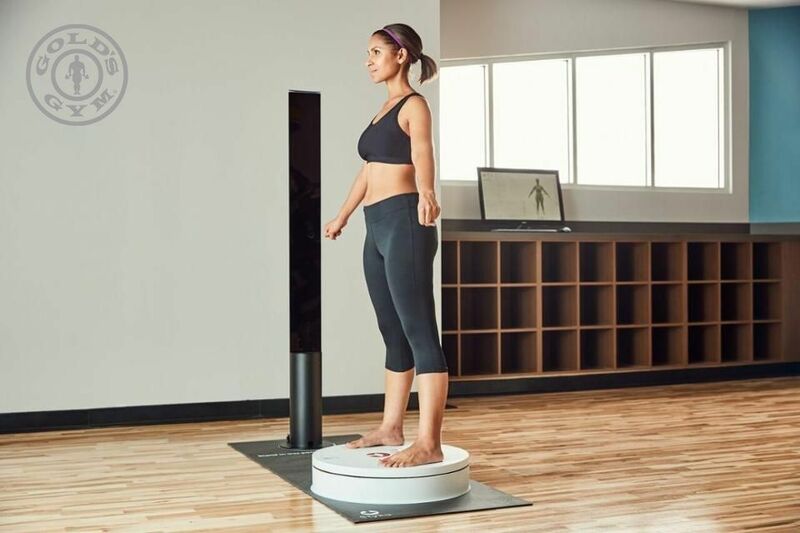 Styku™ is the global leader in 3D body scanning for the fitness, health, and wellness markets. Every 30 seconds, Styku assists in performing an assessment for a member as a result of 600+ installations in more than 30 countries. Styku's intuitive, multi-platform software gives professionals the ability to perform a full body scan, view 3D models, extract body circumference, track changes in body shape, calculate fitness and health metrics, and much more. Come see Styku at IHRSA this year (booth 4123). For more information, please visit www.styku.com or follow Styku™ on Facebook, Instagram and Twitter. Gold's Gym has been the world's trusted fitness authority since 1965. From its beginning as a small gym in Venice, California, Gold's Gym has grown into a global icon with more than 700 locations serving 3 million people across six continents each day. Featuring personalized transformation plans, state-of-the-art equipment, certified personal trainers, a diverse group exercise program and a supportive, motivating environment, Gold's Gym delivers the most dynamic fitness experience in the industry. The Gold's Gym experience recently expanded to include BOOTCAMP as well as GOLD'S STUDIO® – which gives members access to boutique-style classes like GOLD'S FIT®, GOLD'S BURN™ and GOLD'S CYCLE™, all under one roof. More than a gym, Gold's Gym combines coaching, community and more than 50 years of fitness expertise to help people around the world achieve their potential through fitness. For more information, please visit www.goldsgym.com or follow Gold's Gym on Facebook, Instagram and Twitter.